How Does Rental Property Factor Into My Estate Plan? A risk of being a landlord of the commercial or residential property is the threat of lawsuits. An injured guest or tenant, a lease dispute, or a claim that you violated your tenant’s rights according to Florida law can wind up in the courtroom and threaten the assets of your estate. Fortunately, including rental property in your estate plan as part of a well-structured asset protection strategy can alleviate much of this risk. Adequate insurance is your first line of defense. But there’s always a risk that damages will be awarded that exceed your insurance policy’s limit, and the plaintiff will eye your personal assets to satisfy their judgment. Here’s where the need for careful and thoughtful estate planning comes in. The first step in a successful estate plan is placing the ownership of rental property with an entity that creditors don’t have much recourse against. If individuals and revocable living trusts own rental property, for instance, their assets are exposed to creditors. The right business entity offers protection. Owning real property through a business entity like a limited liability company (LLC) is a smart estate planning tool that protects a landlord’s personal assets from seizure by a winning plaintiff in a lawsuit, with the exception of the real estate itself. LLCs are a common asset protection strategy in Florida because they are considered to be legally separate from their owners. That means that if an LLC can’t pay its debts, creditors can go after its bank account and other assets, but owners’ personal assets are generally safe. You can further protect the ownership of an LLC from creditors by establishing a multi-member LLC in a jurisdiction like Florida that grants charging order protection. Charging order laws protect LLC assets from being used to satisfy members’ personal debts and keep creditors from taking over the member’s role in the organization. You can also choose to make a living trust the owner of an LLC that owns rental property, combining the LLC’s asset protection benefits with the trust’s ability to avoid probate, minimize estate taxes, and allow for management of your assets if you become incapacitated. Having property in an LLC also makes it easy to transfer ownership to family members by simply issuing them membership interests in the entity. The LLC can even be structured with voting and non-voting units so owners can preserve control of the property during their lifetime. But read this carefully: an LLC must be treated as a true business entity and not a personal slush fund for its protections to kick in. It isn’t enough to simply file the paperwork; rent must be paid into bank accounts set up in the LLC’s name and all reports, filings, and other formalities must be met at all times or its liability benefits will be lost. Trust matters. Establishing a Florida land trust is another savvy asset protection tool for rental property in an estate plan. 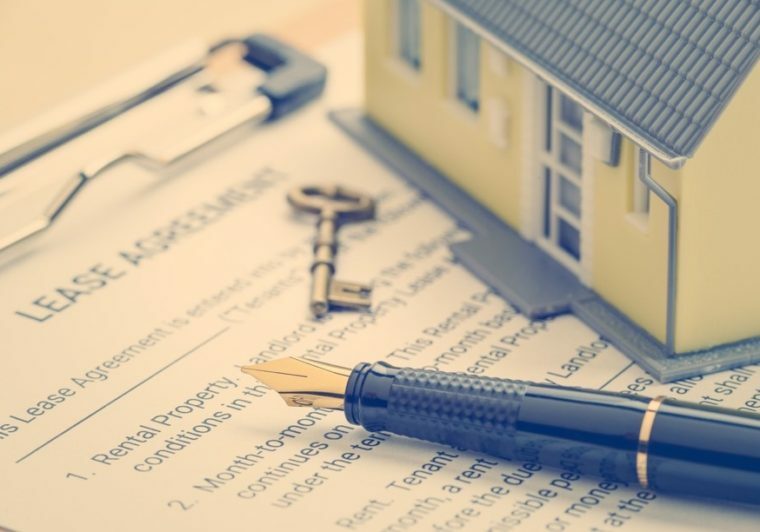 These trusts essentially convert “real property interest” into “personal property interest” through a contract between the land trustee and the trust beneficiary, which can either be an individual or an entity like an LLC. For estate planning purposes, that also means probate is not necessary to pass title. Beneficiaries retain full and complete power of direction over the Florida land trust – unless they choose to delegate it to another individual or entity. The trustee simply holds legal and equitable title to the property. Here’s how the asset protection works: Florida land trusts shield beneficiaries from creditors by placing the property in the hands of a trustee. When this is done, the beneficiary has no immediate interest to record a lien upon or otherwise attach. In fact, beneficiaries’ interests in a Florida land trust are private and nearly impossible for judgment creditors to uncover. But while judgments against beneficiaries can’t impact the legal title to the property that’s held in the trust, a beneficiary’s interests can be attached in the unlikely event that a creditor finds them. Placing property in an LLC or Florida land trust instead of directly into a living trust helps you retain better control over how your assets are managed. The trustee of a living trust is responsible for managing the property owned by the trust for the benefit of its beneficiaries. Without proper direction or legal documentation, maintenance and management may not be conducted to your satisfaction. Institutional trustees may even choose to liquidate assets and invest the funds in stocks, bonds, and mutual funds – even if that is not the direction you wished. Using an LLC or Florida land trust to organize your rental property holdings – and having a trustee simply collect the net income from the overall operation – ensures that the property is managed to your standards and your wealth remains where you want it: in the rental property. A 1031 exchange allows you to defer taxes from the sale of rental property – and is one of the most powerful tax-deferral strategies still available for taxpayers. Based on Section 1031 of the Internal Revenue Code, it enables taxpayers to sell investment or business property and replace it with similar or “like-kind” property without having to pay federal income tax on the transaction. Why does this matter for estate planning? Rather than selling the property, paying capital gains, and reinvesting what’s left of the proceeds, a 1031 exchange allows you to dispose of real estate you own and invest in the income-producing real estate without losing any of the property’s value to taxes. When you normally sell appreciated real estate, you must pay taxes on the gain at rates as high as 20 percent, which leaves you less to pass on to your heirs. Why not read a guide on everything you need to know about heir property to further your understanding? The rules to qualify for a 1031 exchange are extremely complex but can lower income tax by a significant amount, depending upon each situation. Rental property can bring significant financial reward and is an important component of the assets you plan to pass on to your family. But lawsuits aimed at landlords can threaten everything you worked so hard to accumulate if your holdings and estate aren’t properly structured. An estate planning and real estate attorney can help you mitigate your risk and enable your family to enjoy the benefits of this valuable asset in the way you intended. Both estate planning and real estate law comprise an integral part of the South Florida business practice at the law firm of Padula Bennardo Levine, LLP. Contact our experienced attorneys today for a consultation.